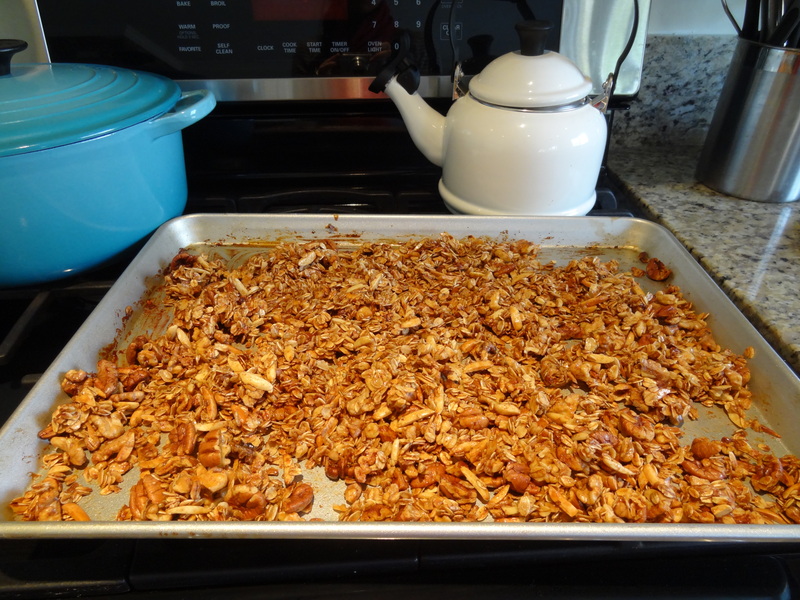 I know it has been a long while since I updated the blog but I came across a homemade granola recipe that is too good not to share. It is filled with nuts, oats, and just the right amount of sweetness. I pair it with vanilla yogurt and blueberries and it makes the most scrumptious breakfast/snack/lunch/dinner? ( I won’t judge). So, in honor of Foodie Friday, here it is! Grease baking sheet with coconut oil. Combine maple syrup, honey, and coconut oil in a saucepan and bring to a simmer over low heat. Simmer 4 minutes stirring constantly. Remove from heat and stir in vanilla, set aside. 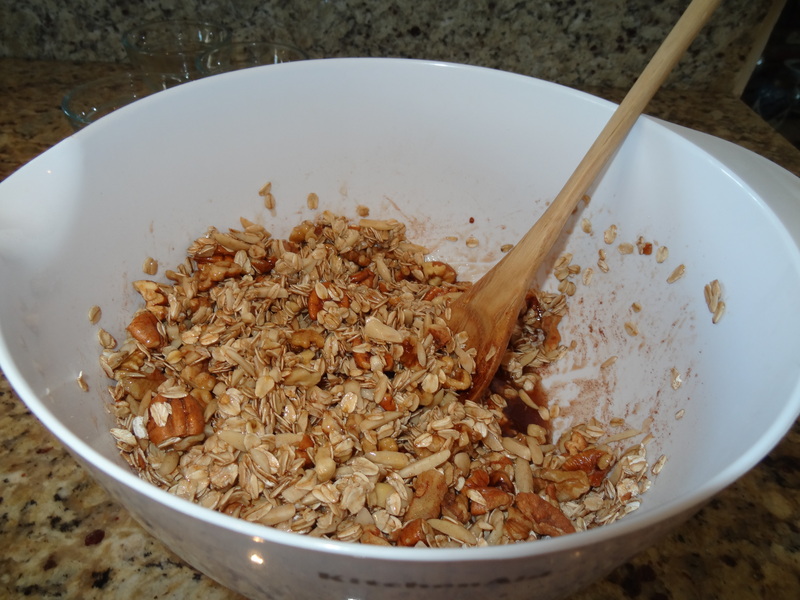 In a medium size bowl stir together oats, nuts, cinnamon, and salt. Pour hot syrup over and mix well. Spread mixture evenly on baking sheet. Bake for 20 minutes or until golden brown, stirring often. 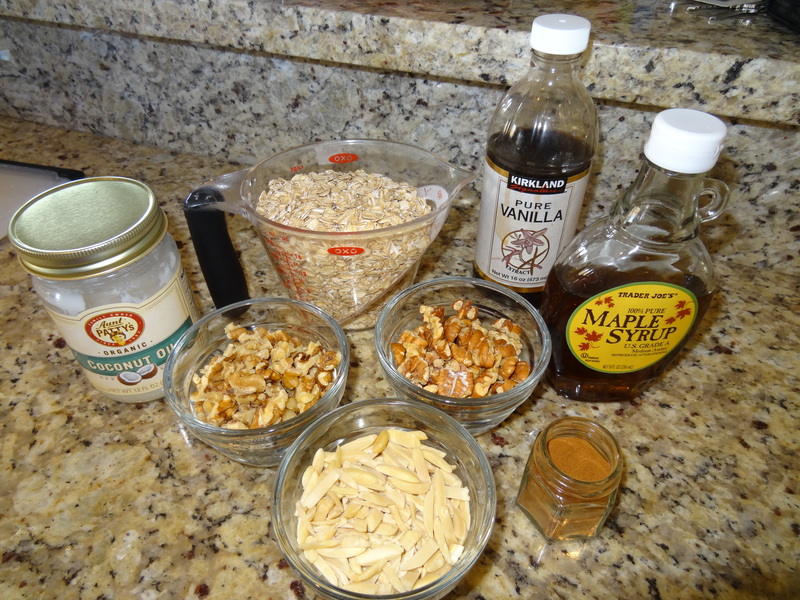 Note: any variety of nut can be used for this recipe, these are just my favorites. 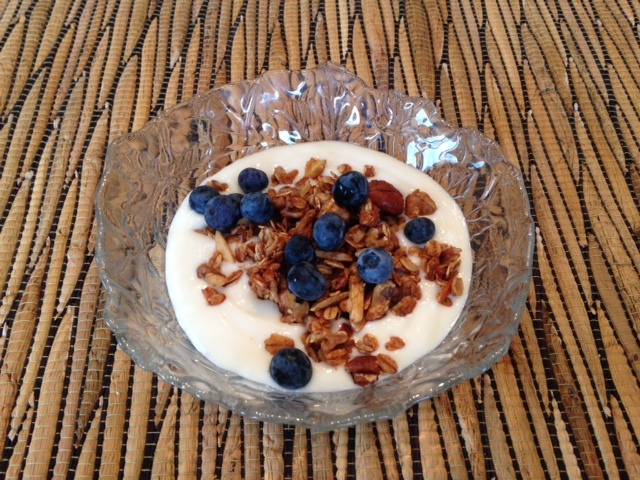 This entry was posted in Foodie Friday and tagged breakfast, cooking, foodie friday, gluten free, granola, healthy recipe, homemade granola, lunch, natalie's style nook, recipe, snack. Bookmark the permalink. ← Wear of the Week: Vote! Lol hope you figured it out and didn’t walk around naked/starving 😉. Thank you! A little birdie encouraged me to get back up and running 😊. If I eat this healthy at breakfast, I won’t feel guilty about my chocolate later. Yum. This looks delicious!! I will def have to make it!